Organiser: The contest is hosted by Institute of Engineering & Management, Kolkata. All problems are MCQ type, and participants will have two attempts for a particular question. After two unsuccessful attempts they wil not be able to participate in the contest any further. 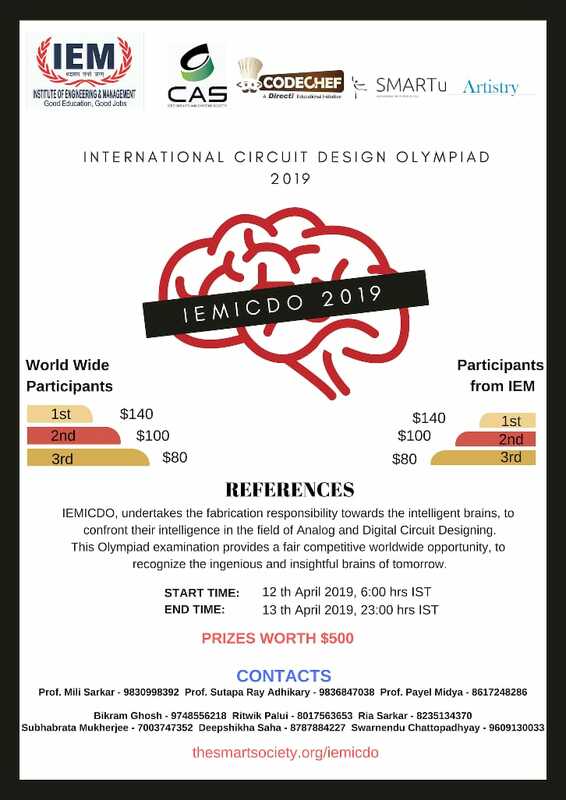 Please contact mili.sarkar@iemcal.com for any queries during the contest.